As an all volunteer registered 501(c)3 non-profit organization we rely on public support and our adoption fees in order to continue our mission. Monetary donations can be made in several ways - via PayPal, when you shop via Amazon Smile, when you shop using iGive, or simply by mailing us a check. 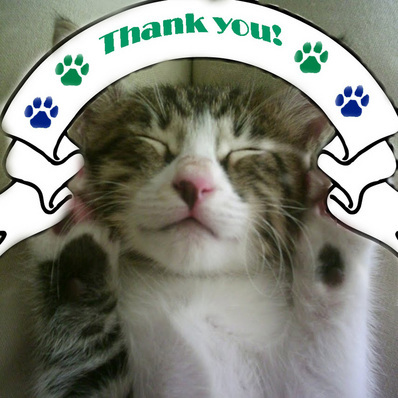 Below we have included links to PayPal and Amazon Smile so you can help us continue our mission one cat at a time, you will be helping to save a life and your donations are TAX DEDUCTIBLE to the extent allowed under current IRS Regulations.